"You find yourself in the middle of a forrest. 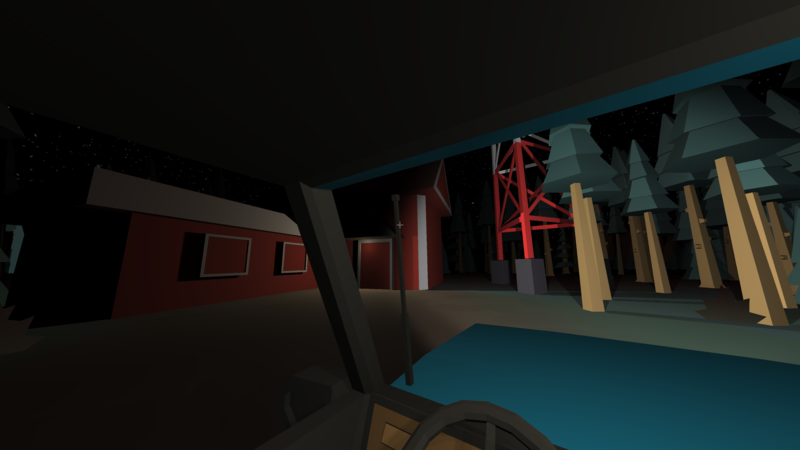 It is night, you driving your car, going to the Local Radio Tower as you heard some weird broadcast messages lately. You only have the old map and the limited vision to guide you through the dark forrest. Hopefully the roads are safe tonight." This game was made in 48 hours for Nordic Game Jam 2018 together with Kasper Lichtenberg. For this project I worked primarily on Assets (2D, 3D and a bit Audio) and Level Design. I also did a few scripts for triggering events during the game in the level. Lastly lighting was also done by me. Car model was based on Car by Google and some of the environment was based on Nature Pack Extended by Kenney.